This handbook walks readers through the stages of sponsoring,convening, organizing, and participating in a collaborative process. 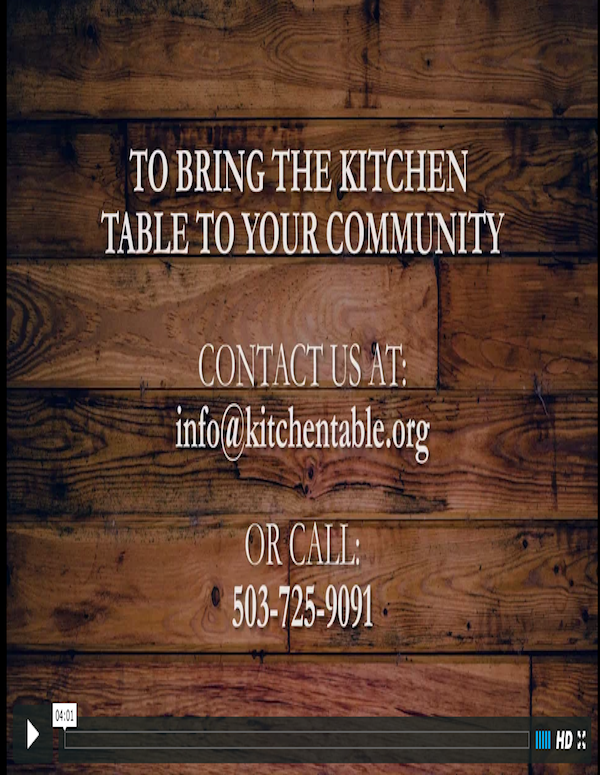 The Kitchen Table helps connect elected officials and the public in joint projects at nearly any scale (state, regional, local and even individual). 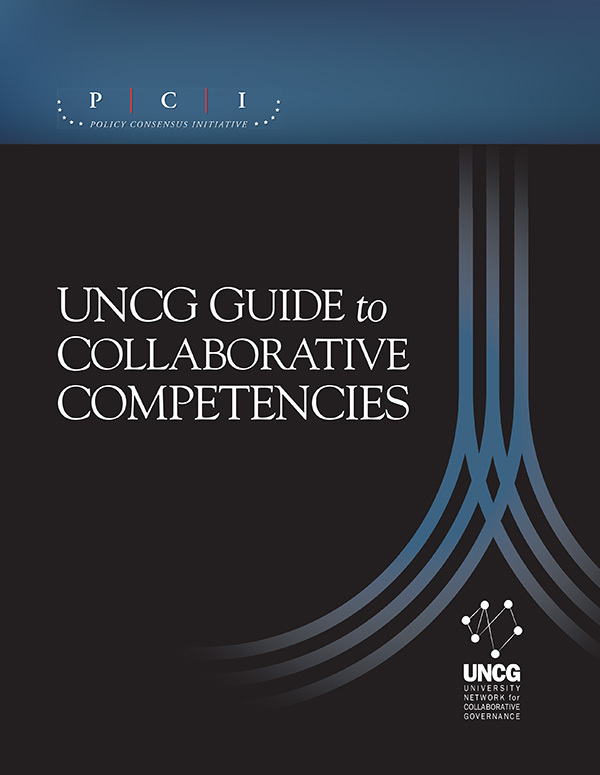 The 28 page UNCG Guide to Collaborative Competencies is intended primarily for use by public officials and managers. We work with state leaders throughout the country to initiate and strengthen programs for collaborative governance and democratic practice. 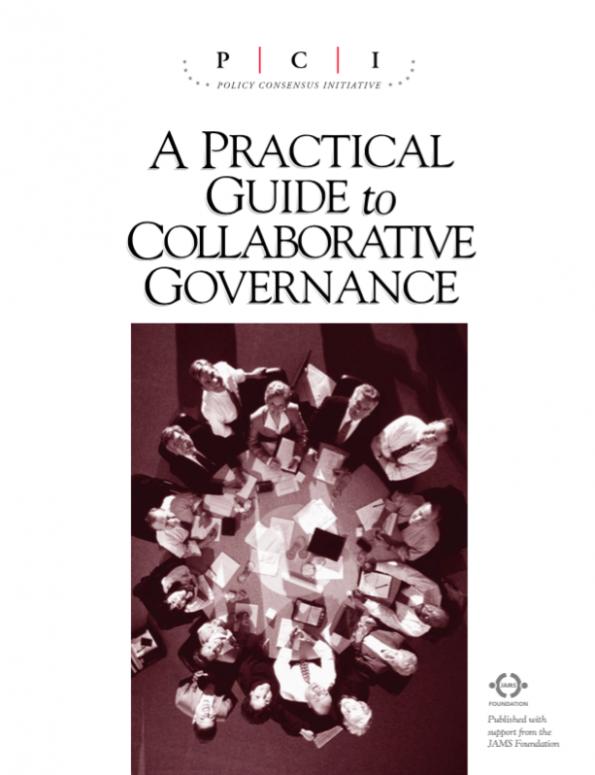 This assistance takes many forms, including supporting leaders in convening collaborative processes, experimenting with new forms of collaboration and democratic practice, and supporting networks of collaborative leaders and universities. Our second UNCG Webinar for members is on Thursday, December 6 from 2-3pm Eastern / 1-2pm Central / 12-1pm Mountain / 11am - 12pm Pacific. Please let us know if you're planning on attending. Once you register, you'll receive Webinar information. As a reminder, this is a benefit for UNCG dues-paying members! If you aren't sure if you're up-to-date with your dues, email roslynr@pdx.edu. Oregon Humanities provided funding to Kitchen Table Democracy in 2018 for "Educated in Oregon" as part of its Public Program Grants that support programs across Oregon that get people together to explore challenging questions and strive for just communities. 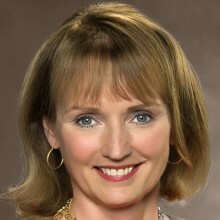 The University Network for Collaborative Governance (UNCG) consists of centers and programs in colleges and universities that engage in service and scholarship in order to enable citizens and their leaders to engage in dialogue, discussion, problem solving, and conflict resolution around public issues. The Tennessee House of Representatives is the lower house of the General Assembly of the State of Tennessee and meets in the state capitol of Nashville.